MANILA, Philippines — On November 20, Pageant Critics posted on Instagram a video showing what is believed to be Miss Universe Japan 2018 Yuumi Kato's national costume for the Miss Universe pageant. 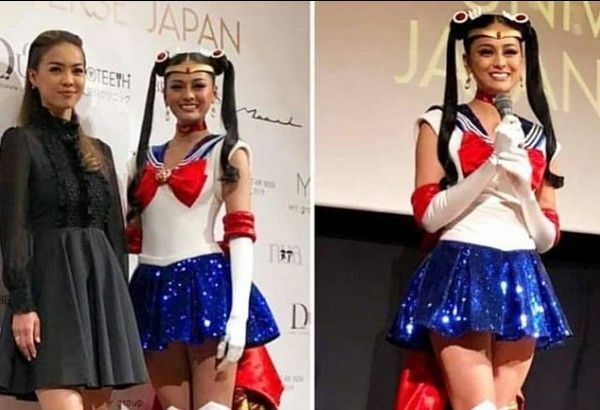 In the video, the 22-year-old model and actress can be seen wearing a costume that transforms from a modern version of the Japanese kimono into iconic Japanese anime character Sailor Moon. Last year, Miss Japan Momoko Abe won the Best in National Costume competition for her costume that converts from a samurai garb into a kimono in a blink of an eye. Besides that of Miss Japan 2018, Pageant Critics also posted the alleged national costume of Miss Universe Vietnam, inspired by the Vietnamese delicacy, Banh Mi.